Q: What types of initial and ongoing support from a franchisor are the most important to a first-time franchisee? Starting up a business can be daunting. For a first-time franchisee, especially, support from the franchisor is key. A good franchisor will offer support in many areas, including site selection, lease negotiation, design, construction, financing, marketing and training. Successful franchisors develop a deep understanding of consumer behaviour, their market’s landscape and demographic information for growing cities and regions. They should have a qualified team of real estate professionals who can scan this information to help you find the right location for your franchise. Obtaining a loan can also be difficult for first-time franchisees, so it is important to understand the level of financial support available to you from the franchisor. Some franchisors have established relationships with the banking sector and have already negotiated financing packages you can take advantage of as a franchisee. They also often have in-house specialists who can guide you through the lending process and third-party resources that can help facilitate financing. Once you receive support in these key areas, you will be well on your way to running a successful business. Q: What traits should a prospective franchisee look for in a franchisor to be assured of receiving such support? Success in franchising depends on leadership provided by the right people at head office. Look for teams (a) that are transparent, engaging and knowledgeable about the current market and (b) that demonstrate strong leadership abilities through their actions, not just words. A well-established franchisor has had success with a proven business model. Its leadership team should comprise experts in the industry who can provide insights into current trends, dealing with competitors and all aspect of operations. Part of your due diligence should involve research into franchisors’ reputations. Are they consistent and transparent in their business dealings and their relationships with their franchisees? As a prospective franchisee, you should be aware of any built-in support systems, from operations representatives to access to ongoing training to the ability to build relationships with senior leaders. Your success and that of the franchisor are closely linked. Indeed, franchisors are directly interested in your success, so they should have developed the expertise to guide you toward any resources and tools you need to succeed. Q: What other types of support from the franchisor may become helpful as a franchise grows over time? Franchisors may offer many additional areas of support over time, but especially important are those related to marketing, operations and training. You will want to be a part of a winning team that puts its best foot forward in all of its marketing and promotional activities. Look into a franchisor’s past activities, including seasonal promotions, press releases, innovations, achievements, sponsorships and local partnerships. Franchisors must be able to support you with advertising and marketing, including social media, websites, high-quality photography and other inspiring materials. You must also expect direct support at the operations level. Many successful franchisors offer regular meetings and visits, either at individual franchise locations or through regional hubs, and their franchisees benefit from direct access to management by phone or e-mail, so they can seek advice at any point in time. Be sure to check this level of support is offered. Most franchisors also offer periodic training, seminars and quarterly meetings to discuss updates to the franchise system. These training opportunities are an important way to keep everyone prepared for success in a dynamic marketplace. At the end of the day, continuous support of the franchisee by the franchisor requires two-way dialogue. 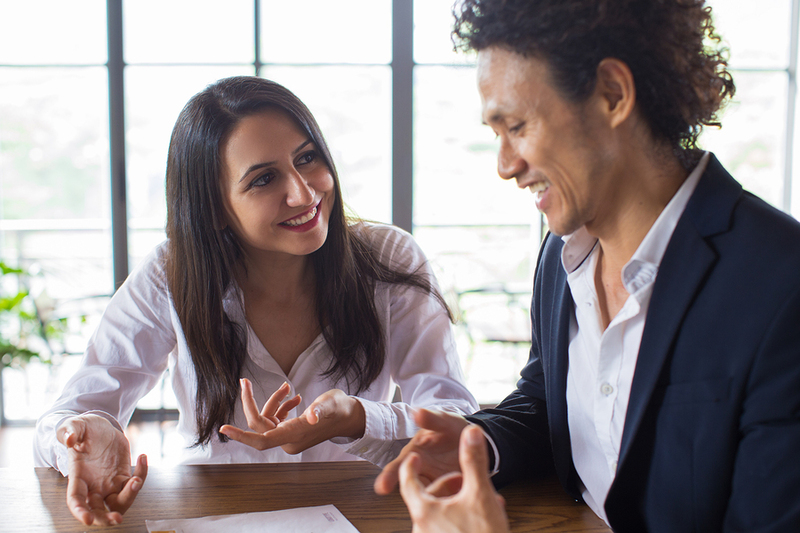 So, before jumping into a long-term franchise agreement, take time to make sure you are comfortable engaging in dialogue in a constructive manner with the franchisor’s team. Sebastian Fuschini is the senior vice-president (SVP) of franchising for Pizza Pizza. For more information, visit www.pizzapizza.ca/join-our-family/franchising.